The Quasi-Moto is a race-ready, all conditions tire for your 650b mountain bike. This XC/Enduro model is a co-design venture between Kirk Pacenti and Panaracer, using angled center knobs for a speedy a roll in dry and semi-loose conditions, and large open sections help toss mud aside. Blocky shoulder knobs have also been added to increase corning traction without slowing you down. A special lightweight casing delivers a race day advantage, and the balance of efficiency and grip is furthered by the ZSG (Zero Slip Grip) tread compound. 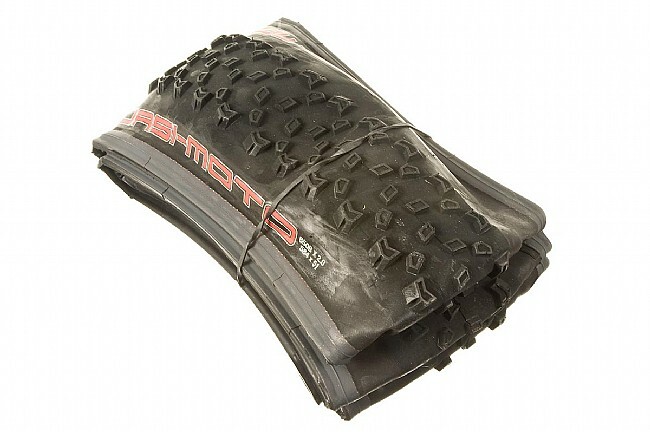 ASB (Anti-Snake Bite) sidewalls prevent pinch flats. The Quasi-Moto is available in 650b x 2.0 (50-584 ISO). Folding bead. 30-55 recommended PSI. Claimed weight: 550g. Black. 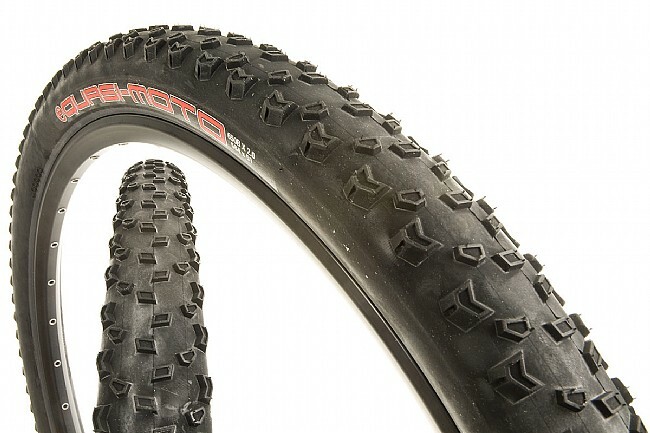 Great tire that has swayed my view of the 650b mountain tire. I built up a set of dt swiss 240's on some Stan's Crest 650b rims. These tires were slapped on to test. All I can say is, I will never go back to 26 rims or tires. No change to my geometry so the bike feels nimble, yet I'm able to roll over things with such ease. What a forgiving feel! No regrets.